About The Physicians of Marine Hospital, Louisville, Ky.
Dr. William H. Long served as Surgeon in charge of the U.S. Marine Hospital from 1875 to 1878. Like many of the other physicians associated with the Hospital, Long began his medical career as a Union soldier in the Civil War. As a regimental steward, Long helped treat soldiers from the battle of Shiloh to the fall of Atlanta. After the war, Long entered the Kentucky School of Medicine and became a doctor. The first Surgeon in charge, Dr. Matt Pyles, opened the hospital in 1847. Shortly after his resignation, Dr. Robert J. Breckinridge was appointed to that position. After eight years, Dr. Thomas W. Colescott served until the marine hospital was closed in 1863 and the boatmen patients transferred to Louisville City Hospital. 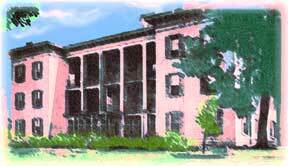 During the Civil War the hospital operated as a military medical facility. After being closed for four years, the U.S. Marine Hospital re-opened for boatmen in September 1869 under the supervision of the Sisters of Mercy. Also at that time, medical services at the hospital began to be supervised by the Griffiths, a remarkable family of local physicians. Dr. David J. Griffiths was appointed Surgeon, but only served three months before being stricken by paralysis. His brother, Dr. Thomas J. Griffiths was his replacement. Dr. Thomas had served as medical chief for General Philip Sheridan during the Civil War and was one of Louisville's most prominent doctors. Another brother, Dr. George Griffiths succeeded him. Dr. George served as a First Lieutenant under General George Custer in the Seventh Calvary before he retired and entered into a medical career. 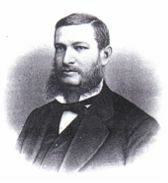 A nephew, Dr. William M. Griffiths, later served as a surgeon at the hospital. The Griffiths family's contribution to local medicine is recognized locally by the designation of Griffiths Avenue, a street located five blocks south of Portland Avenue.